We provide a variety of services for teeth whitening in Manchester. Take the “chair-side whitening” for instance, this treatment is provided within the surgery and you’ll be advised which treatment is most suitable for you. We’ll carefully talk you through the process informing you of the ins and outs of the procedure. “Dentist supervised home whitening” is a method which allows you to remain in the comfort of your home whilst making your teeth visibly brighter, ultimately reducing the need for teeth whitening at the dentist. Keeping this in mind, why not make the most of the teeth whitening from our dentists in Manchester, as we will provide you with a gum-shield like-tray that has whitening gel in. The dentist will then provide you with a plan for the required routine you’ll need to follow if you want to improve the quality of your teeth. For teeth whitening in Manchester? Look no further than Oakley Dental. The whitening products we use here at Oakley Dental normally contain the “active ingredients” of either hydrogen or carbamide peroxide, which as they breakdown, allow oxygen to enter the enamel of your teeth, making the colour of your teeth lighter. As we get older our teeth naturally start to discolour. 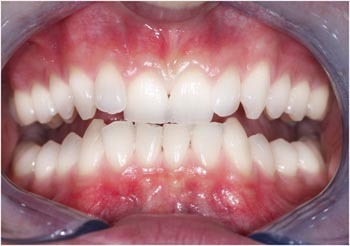 There are a number of reasons for this- genetics, poor oral hygiene, accidents and medication can all contribute. It can also be greatly enhanced by our lifestyle. For example smoking and consuming dark coloured drinks like coffee, coke, red wine and rum or foods such as berries and brightly coloured sauces can all increase the discolouration process. Tooth whitening in Manchester helps to remove these stains from inside and outside of your teeth. At Oakley Dental we offer a number of products to help whiten your teeth quickly, comfortably and safely. Treatments can be done either in surgery or in the comfort of your own home. Tooth whitening Promotions – click here to view our special offer page for details on current whitening offers. Who can perform tooth whitening? Only registered dentists, dental therapists and dental hygienists working to the prescription of a dentist, can perform tooth whitening. You can check to see whether someone is registered by going to the General Dental Council website. It is actually illegal to perform tooth whitening without being GDC registered (even if the practitioner insists they are fully insured) and you should avoid anyone who isn’t registered as they could damage your teeth and/or overall oral health. Regulations are in place to ensure all practitioners are properly trained and to help keep the public safe. Teeth are most commonly whitened with the use of professional gel although your Dentist will discuss which method of tooth whitening is best for you. The most common type of whitening is called ‘dentist-supervised home whitening’. This involves the use of trays that are specially made to fit into your mouth like gum-shields. The whitening gel is then put in the trays. Your Dentist will give you a plan which you will need to follow at home in order to provide the best results. Another option is ‘chair-side whitening’ which will be done in surgery and will be supervised by your Dentist. Your dentist, hygienist or therapist will put a rubber shield or a gel on your gums to protect them and will then apply the whitening product directly to your teeth using a specially made tray. Generally the length of time treatment will take depends on your desired shade and how discoloured your teeth are to start with. Home whitening can take 2-4 weeks once initially started by your dentist in the surgery while in-surgery power whitening treatments can be done in 1-2 hours. This depends on your general lifestyle and varies from person to person. Effects can last for up to 3 years but will be significantly less if you smoke or regularly eat and drink products that might stain your teeth. You can help to keep teeth whiter by regularly brushing them twice a day, cutting down on foods that might stain your teeth and visiting your dentist on a regular basis. Some people can find that their teeth feel more sensitive to cold during treatment. Others may find that their gums become slightly uncomfortable. These symptoms are usually short-lived and stop after treatment is finished. If symptoms do continue then speak to your Dentist. Tooth whitening only works on natural teeth so cannot be used on false teeth such as dentures, crowns or veneers. 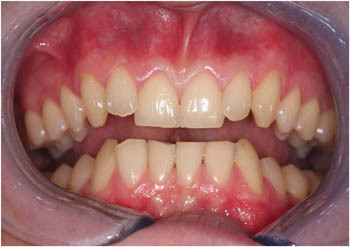 Dead teeth (such as those with root fillings) which may have become discoloured over time can be whitened from inside. Oakley Dental are proud to have provided teeth whitening services to our local patients within Bury, Whitefield, Prestwich, throughout Manchester and Beyond. Call 0161-773-0111 today and improve your smile.